At the heart of a potentially large-scale shift away from PVC in medical applications is a highly proprietary technology that makes it possible to inexpensively weld very thin gauge polyolefin elastomers. invented in the 1980s by Robert C. Smith, who is the current board chairman of Genesis. Until the commercialization of ecoGenesis, radio-frequency (RF) welding of films had been limited to polar resins with high dielectric loss factors–particularly flexible PVC and thermoplastic polyurethane. Nonpolar plastics such as polyethylene and polypropylene are “invisible” to RF energy unless modified with significant amounts of polar additives such as EVA (ethylene vinyl acetate), adding to the expense. Properties are also impacted by the additives. 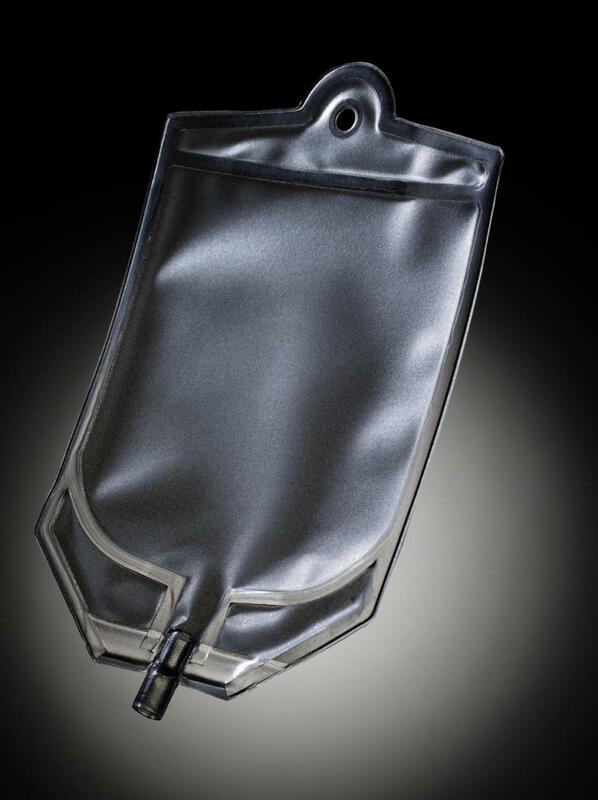 PVC became the material of choice for hospital intravenous (IV) bags and tubing because of its low cost and property profile. While the technology is not new, what is new is that major healthcare systems such as Kaiser Permanente (Oakland, CA) and Partners Healthcare (Boston) are now quickly moving away from use of PVC for IV bags and tubing due to concerns about dioxins and phthalate plasticizers used to make PVC flexible. What’s also new is that major resin producers, film extruders and compounders such as PolyOne, Teknor Apex, Bayer MaterialScience, Dow and DuPont, have developed, or are in the process of developing, new olefin-based compounds that specifically target PVC replacement. Genesis has recently tweaked its process to ensure it works effectively with the new compounds. Replacement efforts are focusing on elastomeric compounds such as thermoplastic olefin (TPO), which contains some amount of polyethylene, polypropylene, block copolymer polypropylene, rubber and reinforcing filler. Elastomers have a soft feel that hospital staff expects with IV bags and tubing. Genesis is also dramatically expanding its production space from 15,000 square feet to 42,000 square feet in anticipation of rapid growth in business, in particular from the medical market. “I think there will be a major move to replace PVC, and that potential development will accelerate in two to three years as more materials are developed to compete against PVC,” Genesis Plastics Welding CEO Tom Ryder said in an interview with Plastics Today yesterday. PVC supplied to the medical industry has the advantage today of large economies of scale. That advantage will drop as scale develops for the replacements. Polyolefin-based elastomers such as TPOs are more expensive than PVC on a per pound basis. Ryder points out, however, that yield for a given weight of TPO can be 40% greater than the same weight of PVC because of a difference in density. Density of flexible PVC is 1.1-1.35 g/cm3. Density of TPO is 0.89. In the interview with Plastics Today, Ryder also said that high-quality welds can be made with thinner gauge materials with the ecoGenesis process. Improved stability in the RF welding process allows welding of material down to 0.001 in. with reduced arc hazard, according to Ryder. That could help explain how Kaiser Permanente and Partners both said they are saving millions of dollars by substantially reducing their use of PVC. Two major compounders-PolyOne and Teknor Apex– have worked with Genesis to ensure that their elastomers can be effectively sealed. Genesis has also partnered with medical device manufacturer REDpoint International (Vancouver, WA) to produce PVC-free plastic primary medical tubing stabilization devices for catheters and IV sleeves. The company’s latest product, the StedLine IV Sleeve, is made of polyethylene terephthalate (PET) and non-woven polyester bi-component material with a polyethylene (PE) coating and a polyester loop. It’s not patented and virtually no detailed information is publicly available on the technology, which is a closely held secret at Genesis. It is described as an inexpensive modification to standard RF welding hardware that makes unmodified PE and PP “see” RF energy without any glue, coating, or expendable buffer or adhesive layers of another material. It requires no change in RF tooling and no change in RF power or frequency generation. Genesis uses the technology in its rapidly expanding facility and also issues licenses allowing others to use the process. Ryder declined to disclose the number of licenses that have been issued. No cost data is available. Genesis uses several brands of RF welders in its shop and says ecoGenesis is effective on all of them. The trend to replace PVC in medical is so hot that there is a lot of mystery in the materials’ technologies as well. Ryder said that several suppliers have asked Genesis to test the sealability of newly developed candidate materials, but won’t disclose any details about chemistries of the materials. Genesis Plastics Welding was formed in 2008 when it acquired the ecoGenesis technology and launched a major expansion. Predecessor companies were called Plastics Welding Technologies and Genesis Manufacturing. The most recent expansion includes a doubling in the size of its Class 7 medical clean room.